The mythological creature known as «griffin» has given its name to these premium cigars and is also used as a decoration for their cigar bands. Boasting the sign of this heraldic beast, these fine cigars from the Dominican Republic have achieved great success worldwide. 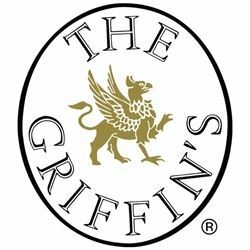 The young and dynamic image of The Griffin's is also expressed in the modern design of the accessories, which feature high-tech materials and precision workmanship. The Griffin's embodies the fascination of myth and modernity.